We all collect guns for different reasons. Some people like hunting, while others are interested primarily in home protection and self-defense. But some of us need to know where we stack up against other shooters, or maybe we want to learn and practice new skills…and we want to do it with three different classes of firearms. The 3-gun competition separates the rookies from the pros. Today, we’re going to be going over some of the best shotguns for 3 Gun shooting to get you started with this awesome sport, as well as some info about 3 Gun, and how to choose the perfect shotgun for you. 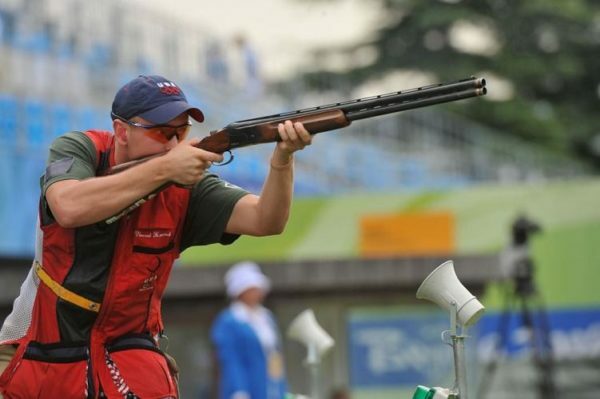 I’d venture to say that most of us think that competition shooting is pretty darn cool, but maybe your knowledge doesn’t extend beyond the clips you see on sports channels and articles in magazines. For those of you who aren’t as well-versed in competition shooting, the 3-gun competition is a fast-paced competition that tests your skill in three types of guns, the pistol, shotgun, and rifle. Hence the name 3-gun. 3-gun competitions take place on a variety of courses that test your accuracy against short and long-range targets, as well as your reflexes and reaction time. If you want to see the highlights of a 3-gun competition, take a look at this short video clip of competition shooter, Jessica Hook, in action. In a nutshell, imagine an action scene from The Walking Dead but with targets instead of flesh-eating zombies and you’ve got yourself a 3-gun competition, just with less manufactured cliff-hangers…I’m looking at you, season 6 finale. We didn’t need to wait six months to find out who Negan hit with that bat. Anyway, 3-gun comps are a fun and fast-paced way to practice a variety of gun skills. If you’d like to find out more, check out our competition shooting guide for info on 3-gun, as well as some of the other shooting competitions that are out there. When participating in a 3-gun competition, your granddaddy’s trusty Winchester Model 1912 won’t get the job done. You’re going to need to leave your bird hunting gun at home and pick up something that’s built for speed and reliability if you want to be serious about competition. Of course, any shotgun will work, but you have to be prepared to get smoked if you show up with something that wasn’t designed with 3-gun in mind. Fortunately, since 3-gun shooting has become increasingly popular over the years, manufacturers are starting to make guns specifically for the competition. You’ll need a bit more than two shells to win 3-Gun competitions. Size and weight – Choose a gun that feels right for you. If you’re a small person, find a gun that isn’t too heavy and won’t throw off your aim with too much of a kick. The last thing that you want is to have your shotgun slow you down. Dependability – There’s nothing worse than having an unreliable semi-automatic shotgun jam up on you at the wrong time. Shop around for a good semi-auto that you can trust and isn’t likely to slow you down because it doesn’t eject properly. Comfort – The 3-gun is a competition, after all. You want something that feels good to handle, especially when you’re racing against the clock. Now that all of that is out of the way, let’s have a look at some great 3-gun shotguns. The Versa Max Tactical is a 12-gauge, gas-powered autoloader that is a favorite among 3-gun shooters due to its reliability and low-recoil. The Versa Max is incredibly comfortable to use and was designed with competitive shooting in mind, so it’s less likely that it’ll jam up on you at the absolute worst time. Three additional stock spacers to accommodate a range of body sizes. Adjustable cheek rest with four different positions: left, right, up, and down. Oversized safety, bolt handle, and bolt release for easier access. If you want a shotgun that’s competition ready straight out of the box, the Versa Max Competition Tactical is the gun for you. An added bonus with this gun is that it’s also great for hunting and home defense as well. 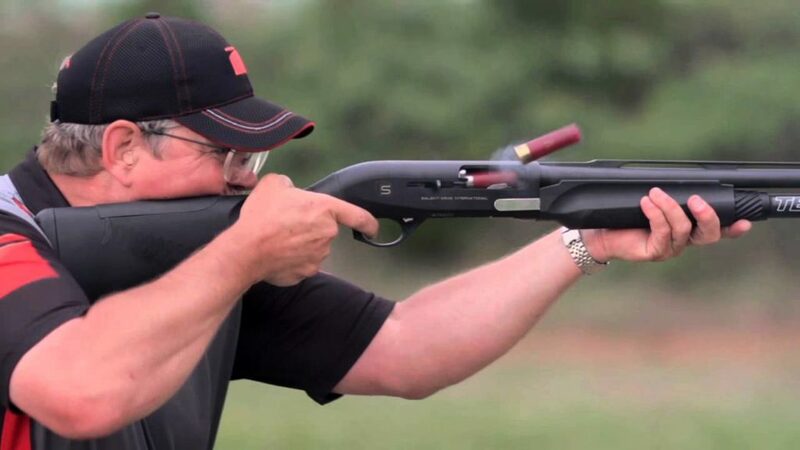 The Mossberg 930 JM Pro is a competition-ready shotgun that is named after Jerry Miculek, a top-class competition shooter who is seen as one of the best shooters of all time; and with an endorsement from Jerry, you know that the Mossberg 930 JM Pro is going to be a solid 3-gun shotgun. The 930 JM Pro is a 12-gauge gas-powered semi-automatic shotgun that was based on the Mossberg 930. The 930 JM Pro was engineered under the guidance of Jerry Miculek in order to ensure that it was optimized for competitive 2 and 3-gun matches, and is one of the best 3-gun shotguns that you can get for under $1,000. Another thing that’s cool about the 930 JM Pro is how you can choose between a 24” 9+1 gun or a 22” 8+1 version, so toy around with both and see which works for you. Optional extended-magazine tube that adds an additional shell. Beveled magazine well for easier and faster reloading. Oversized bolt release and charging handle, which makes it easier to lock-and-load and clear malfunctions. Screw built into the trigger guard to adjust overtraveling of the trigger. As you can see, the 930 JM Pro has a lot of components that make it an excellent 3-gun shotgun. In my option, its most valuable feature is the modified magazine well, which makes reloading the gun under pressure quick and painless. When it comes to shotguns, Benelli is a name you can always trust, and the M2 has already established itself as one of the best all-around shotguns on the market. So it comes as no surprise that the 3-gun version comes out of the box ready to handle the toughest of competitions. The Benelli Performance Shop M2 3-Gun Edition intertia-powered 12-gauge shotgun that has been designed specifically for tactical competitions in mind and is guaranteed to be comfortable, reliable, and easy to handle. If you’re experienced enough shooting to handle a little more recoil from the inertia system, the M2 3-gun promises efficient cycling without the risk of jamming in the middle of your competition. Extended bolt-cocking handle and enlarged bolt release for loading and fixing and unexpected malfunctions. Extra-wide magazine well for faster reloading times and easier for twin/quad loading. Fiber optic front sight and XS rear sight. Shelly caddy on the side to hold an extra shell. Shaved off some of the thickness of the trigger guard near the magazine well for easier reloading. The best feature of the Performance Shop M2 3-gun edition is its durability. It has been carefully designed to meet the demands of run-and-gun competitions and is strong enough to handle the wear-and-tear of heavy use without any problems. The Benelli M2 is a popular choice on the 3-gun circuit, and the special 3-gun edition is an excellent choice. If you’re comfortable with the expensive price tag, the M2 3-gun is arguably one of the best shotguns on the market. Are you handy with a pump? If you’re among the skilled shooters who can manually cycle through ammo as if the gun was an extension of your body, then this 12-gauge shotgun is a solid option for 3-gun competitions. Interestingly enough, there’s nothing too special about the 870 Express Tactical. It’s a relatively basic shotgun, but its dependability and easiness to use mas made it one of the most popular shotguns among law enforcement…and one of the most popular 3-gun shotguns. The Model 870 Express Tactical has seen the inside of a lot of police cruisers. In the 3-gun arena, the Model 870 is a great gun to have thanks to its smooth pump-action, ensuring a clean shot every time. Another nice feature of the Model 870 Express Tactical is its ported choke tube, which is great for reducing muzzle rise in a run-and-gun scenario. Overall, the Model 870 Express Tactical is an American classic that is built with the quality and craftsmanship that enables it to handle getting banged around during shooting competitions. Another top 12-gauge shotgun designed to meet the challenges of 3-gun competitions is the FN SLP Competition ($1,500). This semi-automatic shotgun is a gas-powered shotgun that’s lightweight and fun to shoot. Aggressive, checkered forend grip makes it easy to hold the gun when hands are wet or sweaty. Built-in scope mount on the top of the receiver. Rear sight can be flipped up or down. Another thing that I like about the gun is the way it looks. The SLP Competition magazine tube and receiver come in FN’s cobalt blue color, which gives the gun a really unique look. While the SLP Competition has a hefty price tag, it’s incredibly easy to shoot and is good for competition shooting as well as hunting. Being a good 3-gun shooter is more than just buying a good shotgun. It’s about learning how to reload quickly, switch guns without fumbling, and most important, operating your firearm as if it was an extension of you. Before you go out and spend money on a 3-gun shotgun, send some time at the range trying out different guns until you find one that you like. 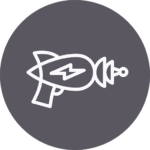 Make note of its weight and see if you’re able to keep the gun balanced as you run-and-gun. Also pay attention to how comfortable it feels, as well as how easy it is to track targets with your sights. Want to see how the pros load a shotgun? Check out this video. Finally, play around with reloading. Try feeding single shells, then give twin and quad loading a try as well. Remember, speed is one of the biggest factors in 3-gun competitions, so you’re not going to want a gun that takes a long time to load – no matter how fancy it is! 3-gun shooting is a fun way to put your shooting skills to the test, and with the right shotgun, you’re closer to scoring a win for your team. The shotgun is only one part of 3-gun, you’ll need at least two more! Check out our Best Pistols for 3-Gun and Best Out of the Box AR-15s for 3-Gun reviews for the other two parts. For those of you who already participate in 3-gun competitions: what’s your favorite 3-gun shotgun? Let us know in the comments below! And for all you newcomers, make sure you let us know if you try any of these great shotguns out for yourself. You listed a pump. Why didn’t you list any magazine-fed semi-automatic shotguns? 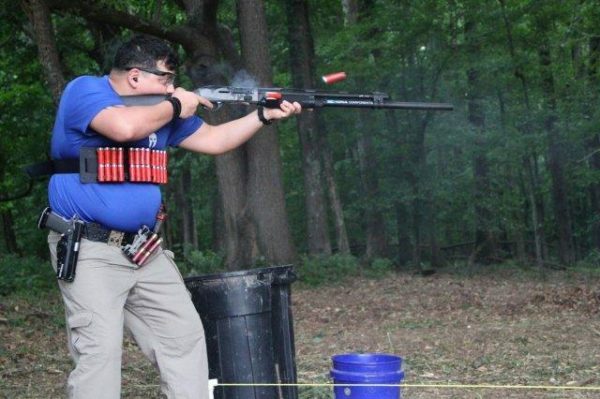 A magazine fed shotgun automatically forces the shooter to be in the “Open Division” according to 3-Gun rules. Generally, most people don’t want to be in that division since it is generally less about skill and more about how you can game the system and spend the most money. Why not the mossberg 500/590 along side or in the place of the 870? Especially since the shell lifter is in the up position with the bolt closed, it would be faster and easier to load. I like the Hawk 982. Great price, does the job if you can handle a pump!